(Bloomberg) -- India will probably see more bank mergers as digital technology transforms the industry and non-bank financing companies seek to avoid a cash crunch, according to a senior official at the nation’s largest lender. 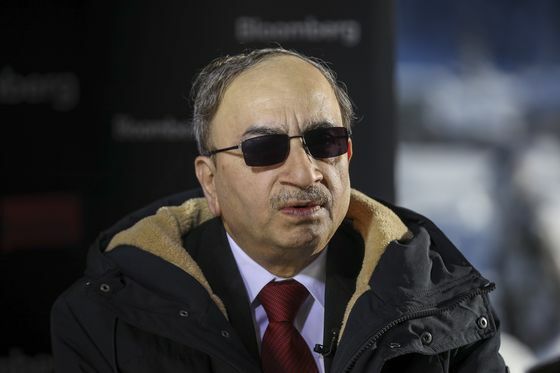 Finance firms that don’t take deposits “need a stable source of capital and banks can help with that,” said Dinesh Kumar Khara, a managing director at State Bank of India who has overseen about 10 mergers. “Banks also want to expand their liabilities and NBFCs can help with that,” he said in an interview. Khara’s remarks reflect rising speculation for more mergers after a spurt of deals between NBFCs and banks, including one struck last week between private lender Lakshmi Vilas Bank Ltd. and mortgage financier Indiabulls Housing Finance Ltd.
NBFCs need to find “ways to survive,” Khara said, after many began facing a liquidity shortage following shock defaults at shadow lender IL&FS last year. 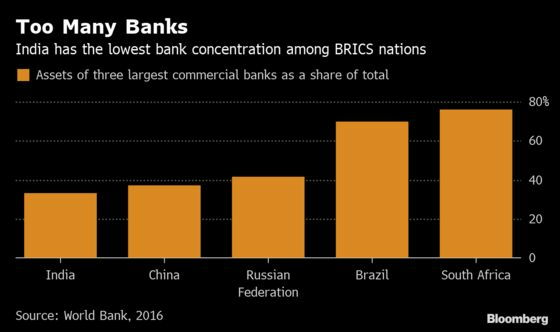 He said many lenders are operating at a “sub-optimal” level, reflecting how India has the lowest concentration of bank assets among BRICS nations; increased digitization also means fewer branches are required, giving opportunities for combined entities to save costs, according to Khara.